A council criticised for not stepping in before a father murdered his partner in front of their toddler has been deemed “inadequate” by Ofsted a second time. Twelve months ago child protection services at Kingston upon Thames were criticised by Ofsted. The latest report said too many children were experiencing delays in protection. The council said it was determined to improve and had made progress. During an unannounced visit, six Ofsted inspectors found the authority was “not meeting minimum requirements”. Although some inroads had been made to improve, it found that it had taken too long to see children at risk, there was too much use of agency staff, there were tensions in relationships with the police, and a lack of detailed case recording and rigorous scrutiny. The authority was told it must immediately improve responses and communication with the police when children are suffering, or at risk of suffering harm from domestic abuse, child sexual exploitation and missing from home. In January, BBC London learnt that social work managers did not act on requests to visit a woman being abused by her partner days before he killed her in front of their toddler in 2011. In December, Mohammed Asad Niazi was found guilty of bludgeoning Charito Cruz to death with a hammer and jailed for 12 years. The NSPCC had twice referred Ms Cruz to social services at Kingston Council because of Niazi’s abuse. Niazi himself had emailed the NSPCC several times over two days asking for help. 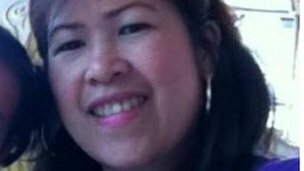 The duty manager failed to arrange a visit and had taken the referrals home to read on the night Ms Cruz was murdered. In July last year Kingston was found to have “significant failings” and to be inadequate in the overall effectiveness of its children’s safeguarding service. Ofsted’s latest report acknowledges “solid foundations” are in place in terms of restructuring the service with senior managers prioritising the recruitment of high quality, experienced social workers. But overall arrangements to protect children are still “inadequate”. In one case, an enquiry had started where a child was suspected of suffering or being at risk of serious harm. Inspectors also found 25 children needing help who were left unallocated to a social worker for two days. 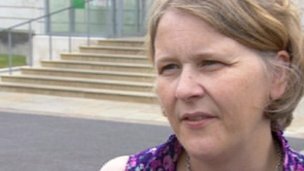 Liz Green, leader of Kingston Council, said she welcomed Ofsted’s scrutiny of the “rigorous efforts” made to address issues. Nick Whitfield, Kingston Council’s director of children’s services, said: “We are determined to get back to the excellent level of service that young people and their families expect from us.